This course can be used as part of the National Registry of Emergency Medical Technicians Refresher Course for all levels of EMTs. In conjunction with AMLS and PHTLS will comply with NREMT as a Refresher Course. Emergency Pediatric Care - EPC is a classroom-based, PowerPoint, instructor-led course from the National Association of Emergency Medical Technicians that teaches EMS practitioners on the care of sick and injured children, addressing a full spectrum of emergency illnesses, injuries, and scenarios that an EMS practitioner may encounter. This course provides an in-depth understanding of the pathophysiology of the most common pediatric emergency issues, and stresses critical thinking skills to help practitioners make the best decision for their patients. AUDIENCE: This course is for all levels of practitioners with a strong commitment to patient care, including emergency medical technicians, paramedics, nurses, nurse practitioners, physician assistance, nurse anesthetists and physicians. COURSE FORMAT: This classroom-based which includes instructor, PowerPoint, and skill interaction throughout the course. This course is approximately 16 hours (two days) in length. 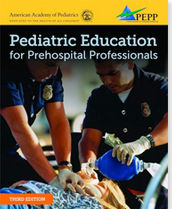 CERTIFICATION: Upon completion of this course, students receive an NAEMT Emergency Pediatric Care course completion certificate and completion card that is valid for 4 years.